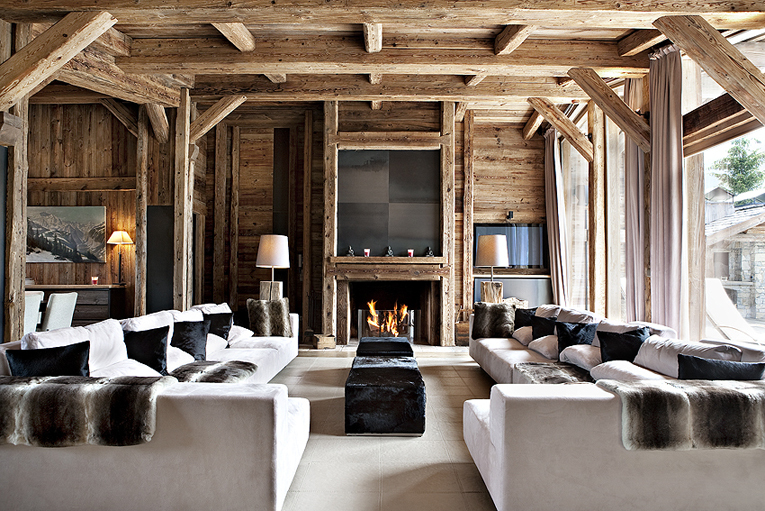 Winter is the time to escape to the mountains and the billowing snow drifts. 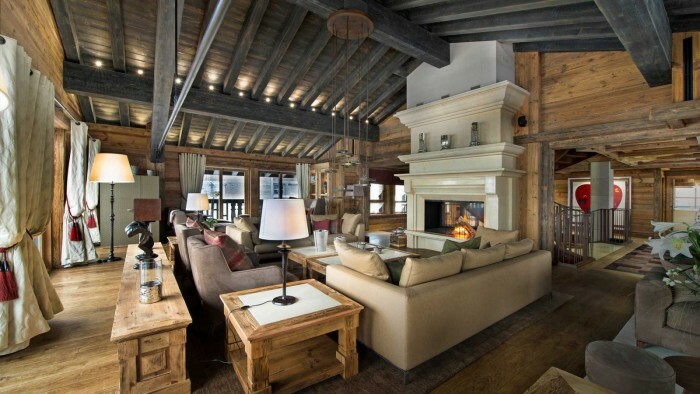 It is time to go skiing all day and relax by the crackling fire at night. 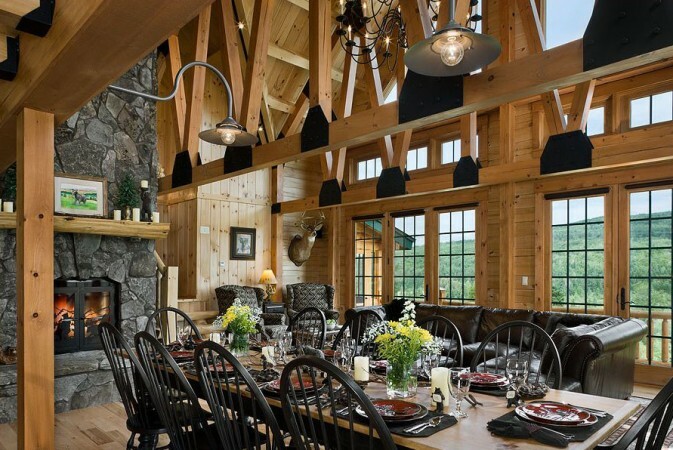 What better way to do this than in a beautiful lodge. However, if you can’t make it to the mountain, you can bring the mountain to your home with lodge style. Here are beautiful interiors to inspire you to bring the beauty and comfort of lodge style to your home. 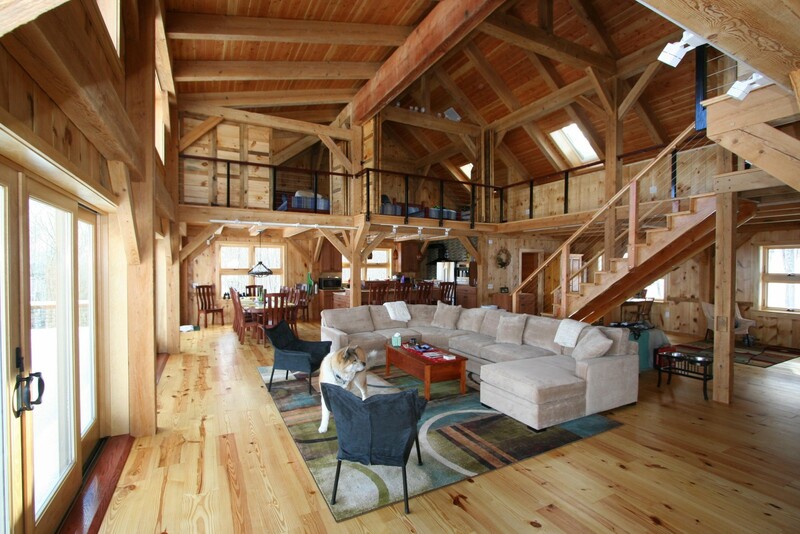 The dominant feature of the lodge home interior is wood – wood walls, floors, expansive rafters, and wood furniture. 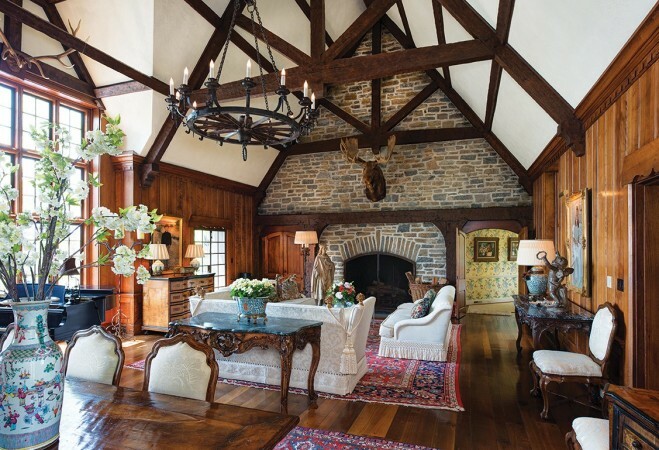 A stone fireplace and an antler chandelier or accessory really speaks lodge living. 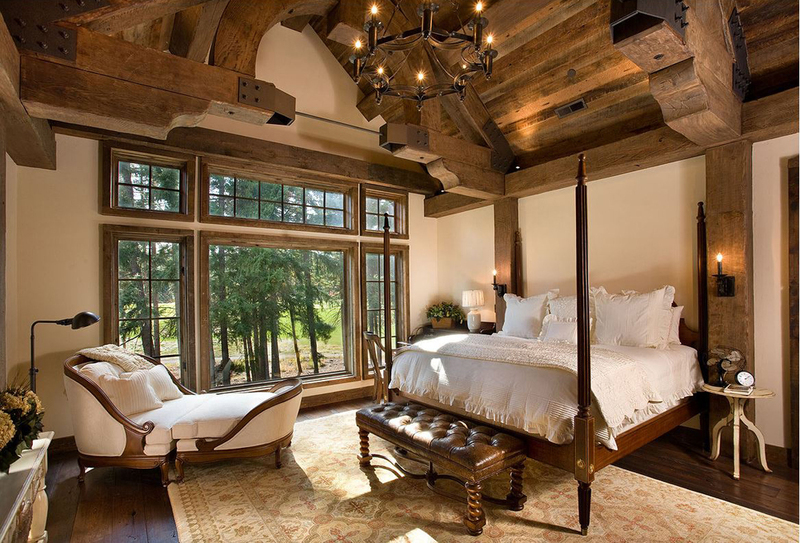 Cozy bedrooms with great views underneath high ceilings mark lodge style. Large beds with warm blankets take center stage. 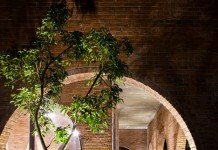 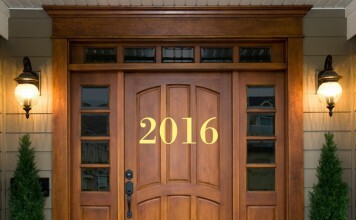 Rustic elegance is achieved with traditional furnishings. 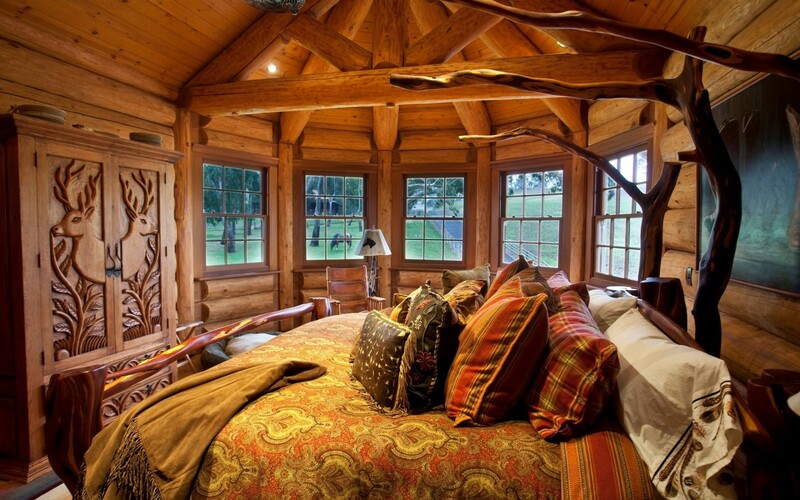 If you want truly rustic character, a hand-carved bed and furnishings set the scene. 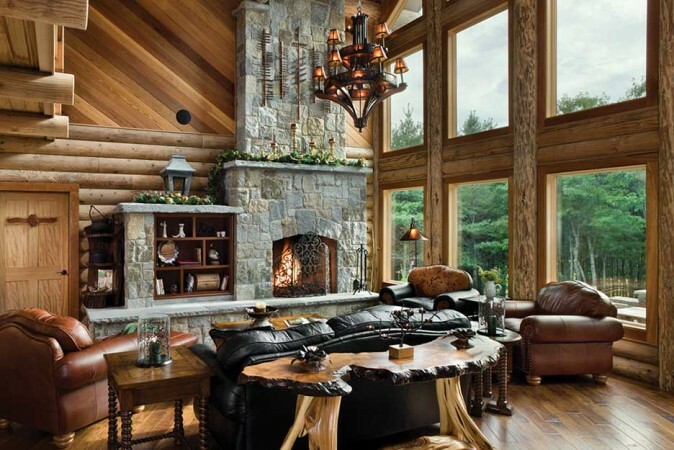 Lodge interiors are often large open spaces with picture windows to take in the view as you linger by the stone fireplace. 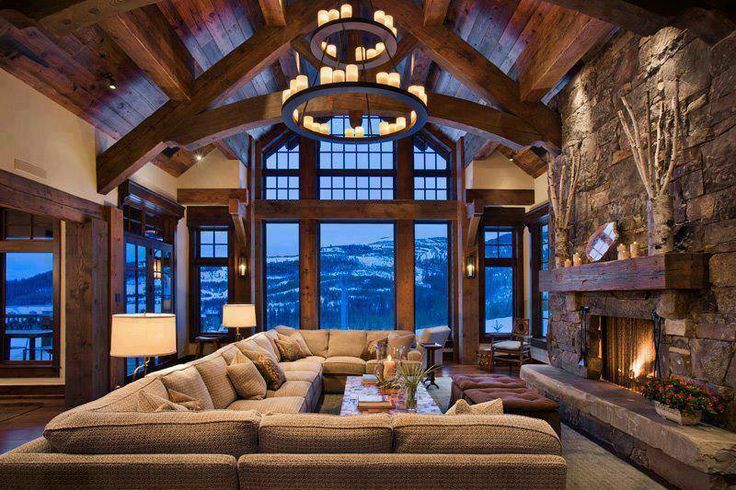 These open living areas are perfect for entertaining, allowing plenty of seating for guests. 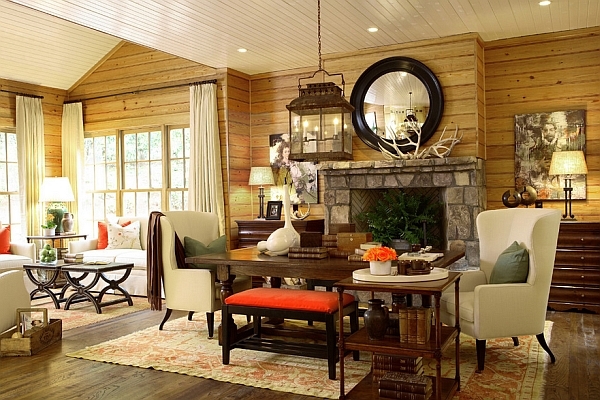 You can create cozy areas by dividing an open space. 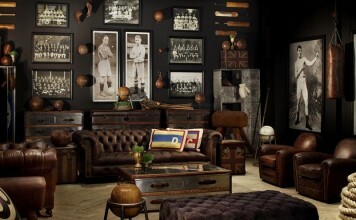 Comfortable leather sofas backed with tables form a visual divide between areas. 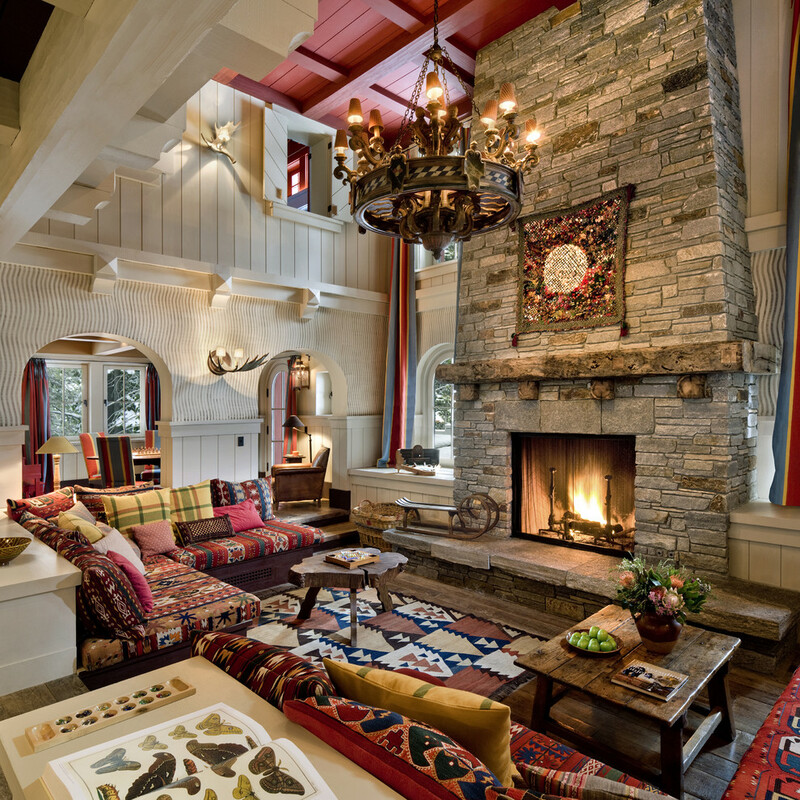 Placing chairs next to the fire with ottomans or footstools gives everyone a place to sit and relax. 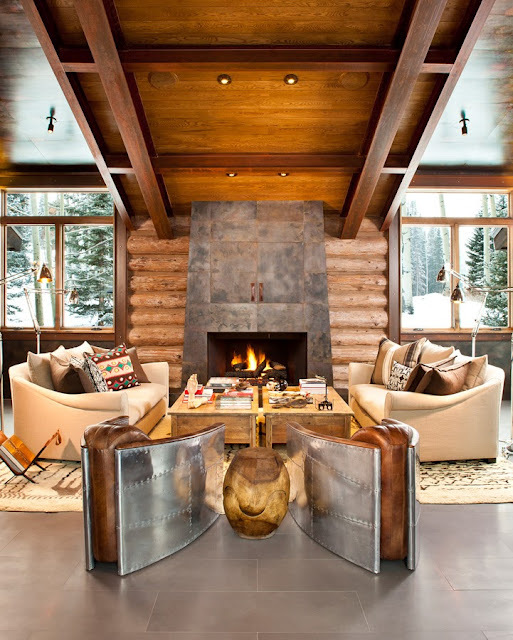 Leather, rough-hewn wood and rustic vintage pieces are at home in the lodge style interior. This seating area is set apart with a rug and faces toward the view. 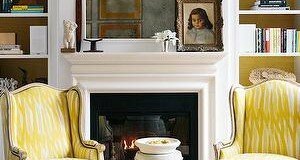 The focal point doesn’t always have to be the fireplace. 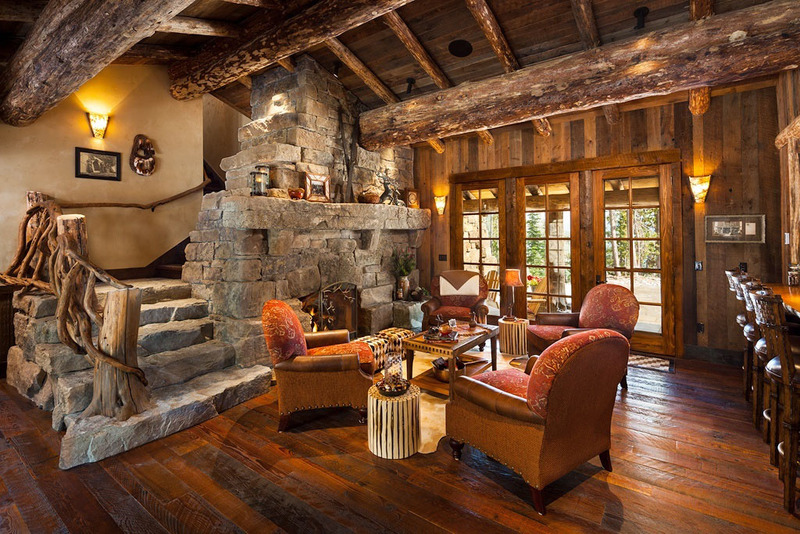 This is a truly rustic lodge interior, with a custom stair rail to complement the natural stone stairs and fireplace. 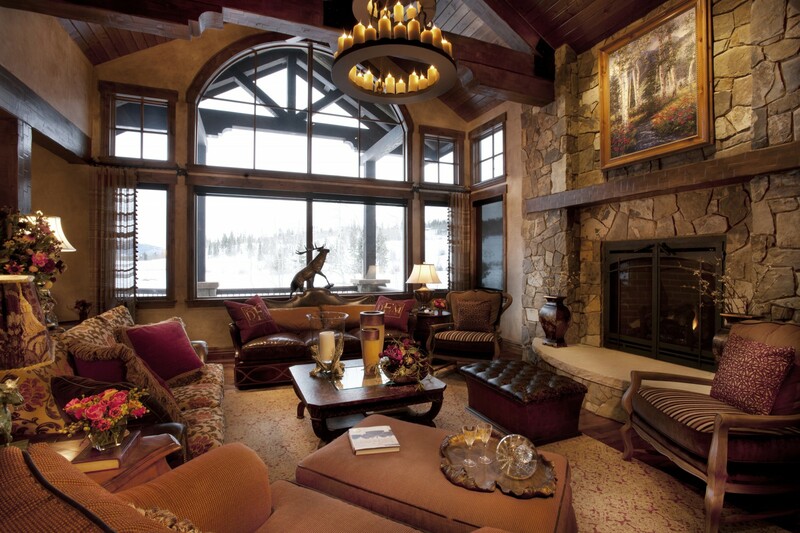 Colors are warm and furnishings comfortable with heavy upholstery paired with leather. 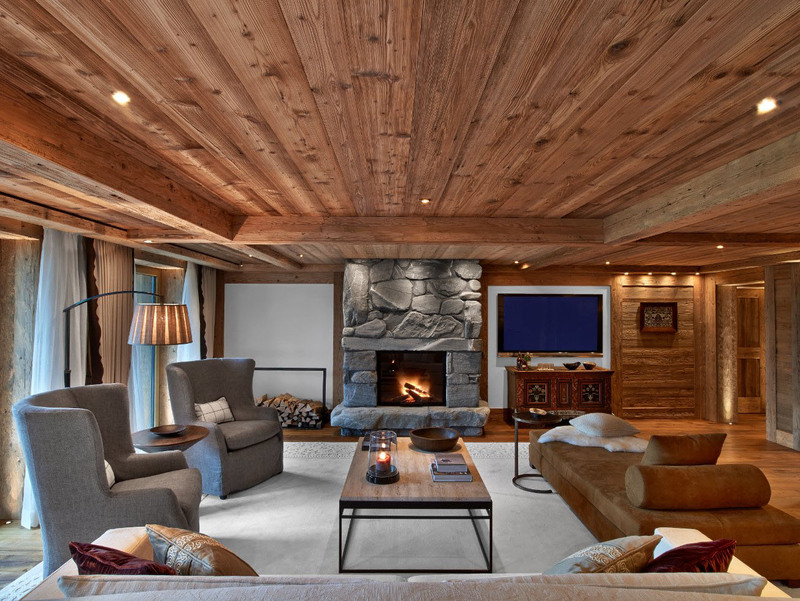 The modern lodge interior holds all the charm of the traditional, but with sleek furnishings and finished woods mixed with the natural. 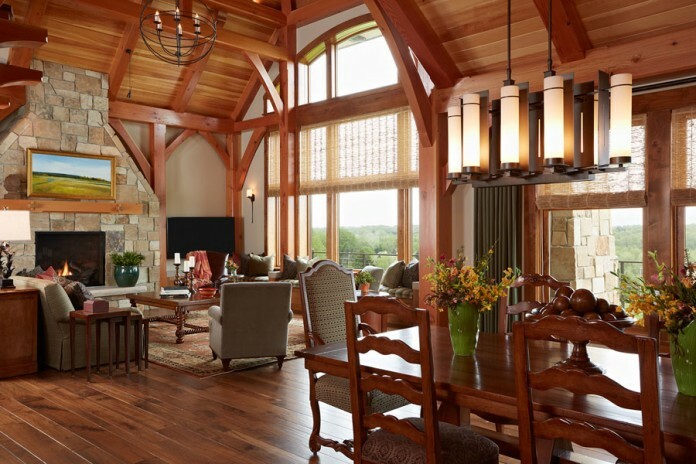 High raftered ceilings prevail and are matched with stone and wood floors. 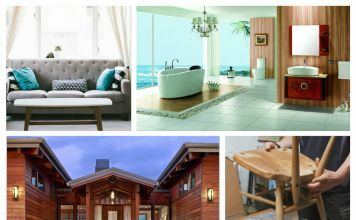 To achieve lodge style, highlight the wood surfaces in your home, choose heavier upholstery fabrics and large furniture in scale with the space. 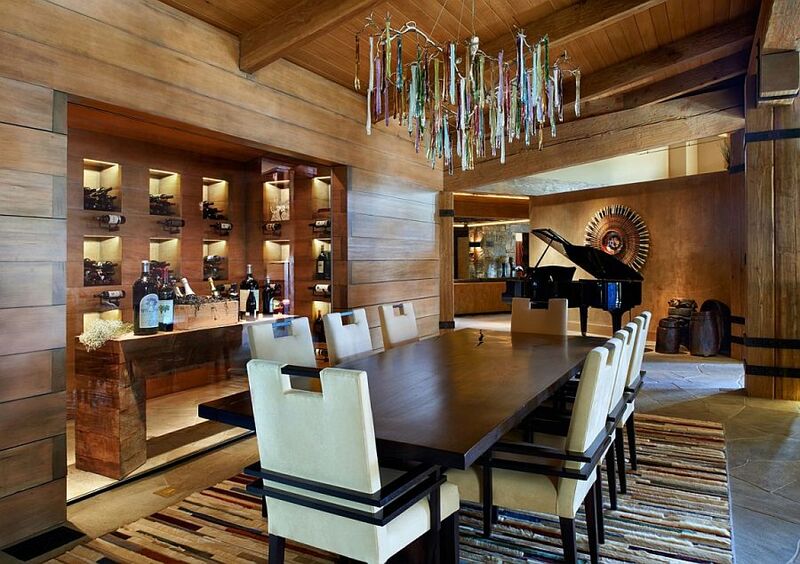 Give the space added rustic appeal with antlers and vintage rustic accessories. 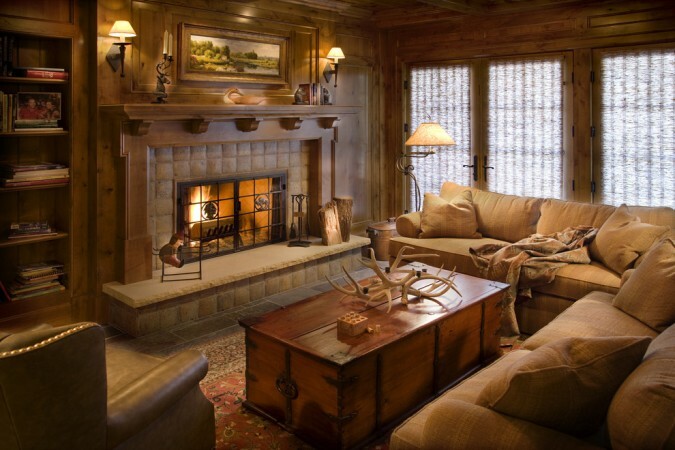 Warm rugs, cozy blankets and a fire in the fireplace finish the lodge style. 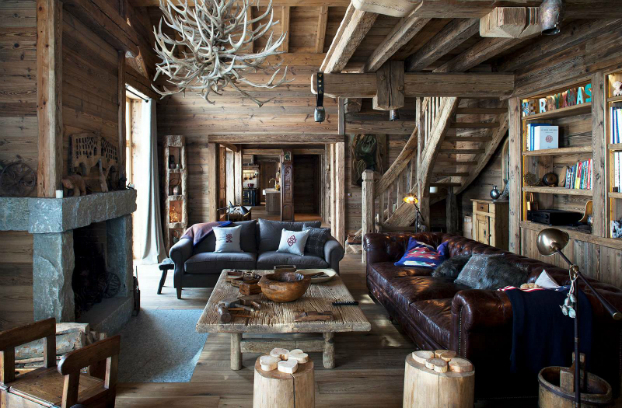 So, if you want to warm up your interiors for winter or you can’t make it to the mountain lodge for skiing this year, bring lodge interior style to your home.